What is the difference between SMT and SMD? These two little acronyms get mixed up a lot in the electronics manufacturing service world. On paper, they only vary by a single letter, but in practice, there’s a lot more separating SMTs and SMDs. Chiefly, one is a process and the other is a device. An SMD, or surface mounted device, is an electronic component that you would find on a board. An SMT, or surface mount technology, is the method of placing components (like an SMD) on the board. In electronic manufacturing services, the SMT process often works with SMDs, perhaps adding to the confusion. And while it is important to know the difference between the two, the value of either is amplified when they are used in concert. What are surface mounted devices, or SMDs? Surface mounted devices (SMD) are small components that are attached to boards in electronics manufacturing. They were designed to be smaller than previous components in response to a market that demands smaller, faster, and cheaper electronics. Through-hole technology could not keep up with the increasingly more compact and complicated technology that was advancing throughout the later part of the 20th century and into the 21st. Previous components were not only bigger, but required a different and slower application process. Where older component versions would have had wire leads going through the board, SMDs use pins that are soldered onto pads on the board. This means a more productive use of the board space, since no holes are required and both sides of the board become usable space. SMDs were created to use with the highly-efficient and precise surface mount technology, or SMT. What is surface mount technology, or SMT? Surface mount technology, or SMT, is the process of mounting and soldering surface mount components onto a board. In this process, solder paste is applied in a calculated amount so that a stencil can be perfectly aligned on the surface of the boards. Then, the pick and place machine mounts the components onto the boards, using the stencil. Next, the boards are run through infrared ovens that melt the solder paste and form solder joints. This very precise process is completed with an Automatic Optic Inspection machine that checks for alignment and quality. SMT came into popularity in the 1980s and is now widely used in electronics manufacturing services. As the process and technology were refined, costs associated with it came down and performance went up. A major advantage and cost-savings that came from SMT was the reduction in the number of devices (with reduced error rates), better performance, and increased functionality. Fewer errors, fewer necessary products, a more efficient process and smaller components all add up to significant reductions in manufacturing costs. With these benefits came the attention of industries that require precision in quality and function. SMT has become a popular process in aviation, automotive, medicine, and communications, as well as in consumer electronics. Where a less-efficient and more error-prone process may have gotten the job done for these industries, SMT allowed for growth and expansion in these areas. In the early years of SMDs, smaller and more complex components had to be placed and soldered by hand. Machines could do some of the pieces, limited to size and type. Today, manufacturing boards using SMT is somewhat similar, but much faster and far more accurate. Back then, small bits of silver or lead were placed on the board to attach the component. These elements are still used, but in a solder paste, which is a mixture of flux and small bits of solder. SMT machines can attach thousands of SMDs per hour, compared to maybe a few hundred by hand. Consequently, nearly every through-hole process now has an SMT equivalent. The popularity of SMDs came in response to how much more efficiently SMT could produce boards. The smaller component meant that both time and space could be maximized when both were used together. 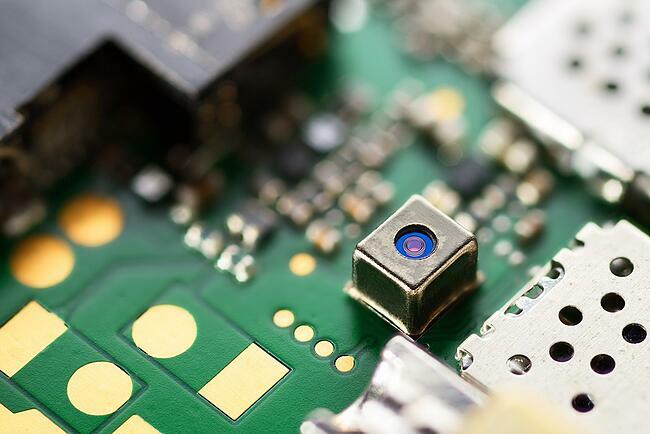 The SMD meant that more could be done with a smaller, more precise devise. And SMT could get them assembled more quickly and accurately than any process before. The cost savings combined has resulted in more and more electronics manufacturing services putting SMDs on an SMT. SMT is a process that Levison Enterprises has embraced, mostly for the value it brings to our partners. We offer this process to bring the highest-quality products and the most efficient and lowest cost possible. We have an eight-stage oven that brings even more accuracy and control to this highly-sensitive process. You’ll also find many SMDs at Levison Enterprises. We aren’t only about being efficient with production time. We are also interested in making the most of every board and component we product on your behalf. If we can cut down on the materials needed for your project by using an SMD, then that is what we want to do. So really the argument of SMD vs SMT isn't really valid, both have their place in PCB assembly. Levison Enterprises always aims for the best quality and efficiency, which makes the use of SMT and SMDs a no-brainer. Let’s talk about how we can work together, using these tools, to bring a high-quality product to you.